Sometimes it feels like wedding dresses, no matter how pretty, are about a dime a dozen. It's becoming harder and harder to find a dress that feels truly unique for your wedding day. 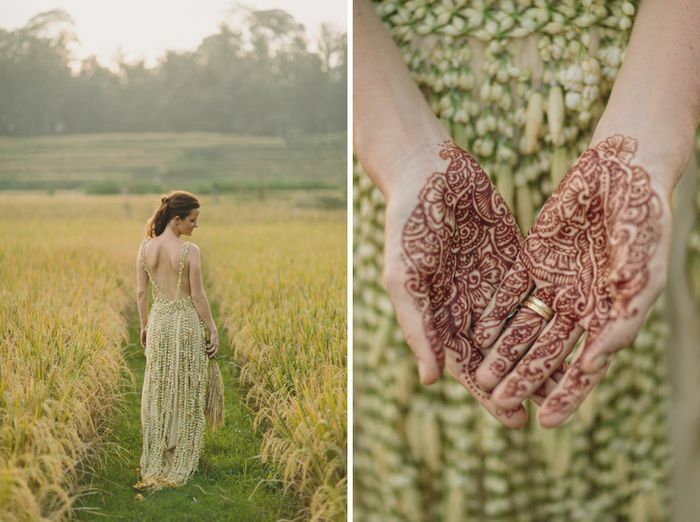 But one bride, who said "I do" at a stunning ceremony in Bali, took individuality to a new level for her dress. Elora Hardy's dress was handmade by Balinese craftspeople who constructed the entire dress out of Jasmine flowers. The result is as stunning as you'd imagine—and we can't even fathom the fragrance this garment emitted. This gorgeous wedding actually took place many years ago, but we rediscovered the images on Pinterest and were every bit as amazed as we were when they first came out. Keep scrolling to see Hardy's dress made entirely of Jasmine flowers! Are there any other unique wedding dresses you've come across? Share your favorites with us in the comments below!